Here is this week's Newsletter from the Scottish Arts Club, where we keep you up to date with our exhibitions, events, creative classes, news and more. You can tell that spring is in the air because the Club is heaving with great events. Click the link to open the full Club Newsletter PDF. Read about our brand new painting classes and workshops, as well as the many talks coming up. Music from Glasgow based Avocet Trio will fill the Club Room in April, and in May we have a jazzy visit from The Yale Alley Cats to look forward to. There's also an open call for the Members Spring Exhibition, and in Geddes Gallery you can enjoy photographs from the Outer Hebrides in 'Barra Beyond the Blue'. Both exhibitions are on display between 4th April 2019 - 4th May 2019, with the Preview this Wednesday 3rd April, 6pm-8pm. Warm welcome! We still a few spaces left at the 1-day tutored Acrylic Still Life class with Ann Oram RSW. This is a unique opportunity to learn from this multiple award-winning Artist. Ann studied Art at Edinburgh College of Art, where she also taught painting after graduating. See her website for examples of her bold and colourful paintings. 'Barra Beyond the Blue' (C)Malena Persson, in our Geddes Gallery. Read about the Members' Pisces lunch, a piece that includes some lovely images and fun hats. Take a look at the new image series 'Plant of the Month'- which will give you a botanical tour of our amazing Geddes Garden. Click the link above to open the PDF. 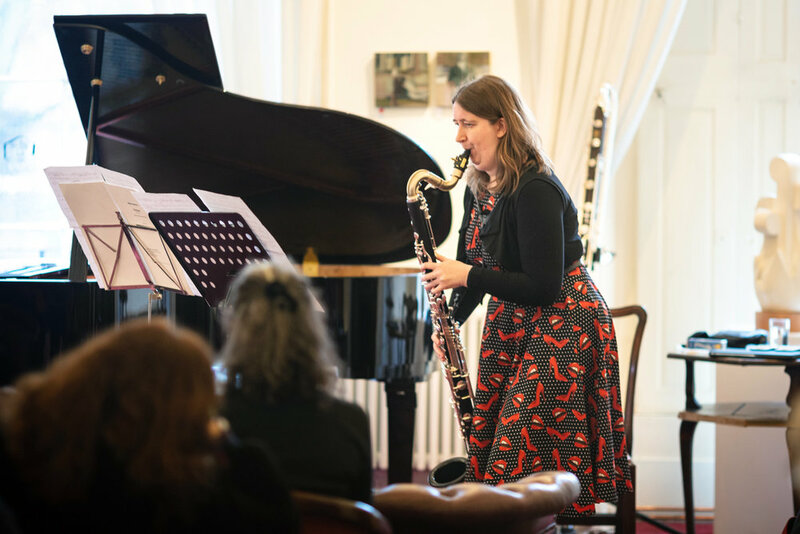 Here is this week's Club Newsletter from the Scottish Arts Club, where we keep you up to date with our exhibitions, events, creative classes, news and more. This issue of 'Club Weekly' is something quite special, with 8 pages full of exciting Club announcements. Read our President's review of the spectacular dance installation Glimpsefrom Dance Base, which took place at the Club on March 3rd and 4th. Also in this newsletter is the brand new series 'Plant of the Month'- which will give you a botanical tour of our amazing Geddes Garden. Click the link above to open the PDF. 'Glimpse' sketch by Club Member Stuart Campbell and photo by Malena Persson. Here is this week's Club Newsletter from the Scottish Arts Club, where we keep you up to date with our exhibitions, events, creative classes, news and more. This issue of 'Club Weekly' has 6 pages full of exciting Club announcements. Click the link above to open the PDF, or scroll down to read it in the browser. Don't miss the moving dance installation 'Glimpse' from Dance Base, which takes place throughout our building on Sunday 3rd March and Monday 4th March. Here is this week's Club Newsletter from the Scottish Arts Club, where we keep you up to date with our exhibitions, events, creative classes, news and more. This issue of 'Club Weekly' has 6 pages full of exciting Club announcements. Click the link above to open the PDF, or find it attached below. In addition to all the great events in the newsletter, here is one for your diaries. The President's Exhibition brings together a varied and exciting group of 17 past SAC award winners. The preview is Wednesday 6th March, 6.00pm-8.00pm. Hope to see you there! Read more. Below is this week's Club Newsletter from the Scottish Arts Club, where we keep you up to date with our exhibitions, events, creative classes, news and more. This week's issue is a fully packed one - 7 pages of exciting Club announcements. Click the link above to open the PDF. 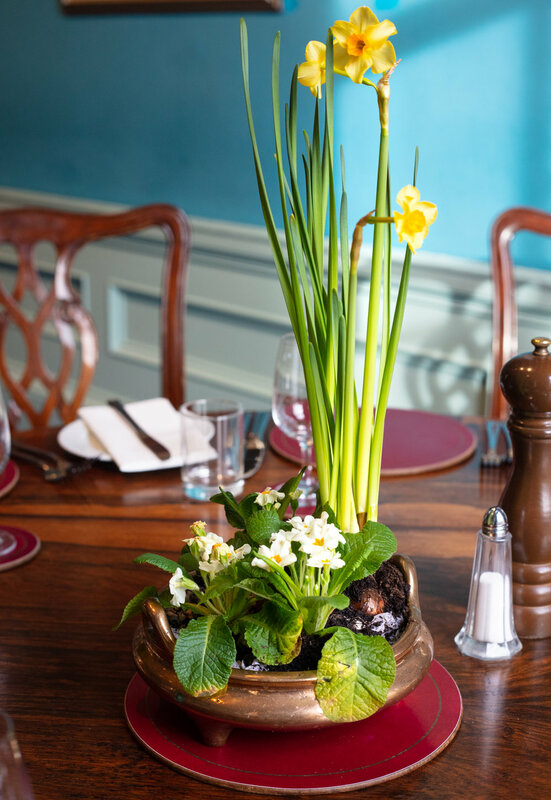 Spring has sprung in our Dining Room, and Edinburgh has been blessed with a little bit of sunshine. If you find yourself venturing about town and suddenly feeling a tad peckish, then lunch is served to our Members Tuesdays - Saturdays, 12.30pm - 2pm. To secure a seat make your booking through the Office or the Bar. Here is this week's Club Newsletter from the Scottish Arts Club, where we keep you up to date with our exhibitions, events, creative classes, news and more. This week's issue is a fully packed one - 7 pages of exciting Club announcements. Click the link above to open the PDF. Below is this week's Club Newsletter from the Scottish Arts Club, where we keep you up to date with our exhibitions, events, creative classes, news and more. This week we have another jam packed newsletter - 6 pages bursting with exciting Club announcements. The start of the month has much on offer and we hope to keep you inspired throughout the week with both Arts and Music. How about an exhibition opening on Wednesday evening 6th February, followed by a wonderful recital by Calum Robertson on clarinet a few days later. The concert is happening on Saturday 9th February, 12noon in our Club Room. Not to be missed. Here is this week's Club Newsletterfrom the Scottish Arts Club, where we keep you up to date with our exhibitions, events, creative classes, news and more. This week's issue is a yet again another fully packed one - 6 pages of exciting Club announcements. 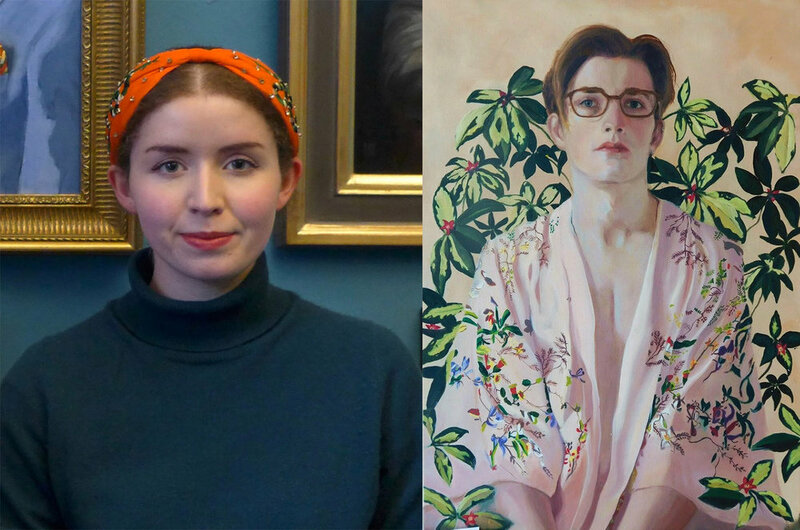 Here is this week's Newsletter from the Scottish Arts Club, where we keep you up to date with our exhibitions, events, creative classes, news and more. This week's issue is a fully packed one - 7 pages of exciting Club announcements. We would like to sincerely apologise for a couple of misprints in last weeks Club Weekly, where wrong times and weekdays were published. The errors for The Transatlantic Happiness Project as well as TALK: Mapping the Isles have been corrected in this issue of the Newsletter. Next issue of the Club Weekly is coming out on 18th January 2019. "In the mind of every Artist there is a masterpiece." Please note that the next Club Weekly will come out on Friday 4th January 2019.